So recently we’ve talked about how to start planning for your website redesign, and how to select the right CMS for your organization, so what’s the next step? In the next part of the process, the focus is on reviewing all of your content in a content audit and creating a user-friendly structure for your new site. Wait a second… review all of our content? And set up a site structure? Yes, you read it correctly. This phase certainly isn’t the most fun part of the website redesign process, but arguably one of the most important. You’ve heard it all before – content is king, content marketing rules the world, content this, content that, all of the things content related! Content remains an extremely important part of many marketing strategies and certainly is a crucial part of your website. Why is it so important? Because having the right content and messaging can help turn visitors into leads, who hopefully turn into customers, or students, patients, etc. Your content should speak to your target audience(s) and user/buyer personas. So first, perform a content inventory. A content inventory is a quantitative review of all content assets on the site including text, images, multimedia files, and more. It gives you a basis to start the content audit. By performing a content audit, you can get rid of irrelevant, under-performing content and make edits to content that is outdated. Make a spreadsheet to keep track of all the content you’re migrating, as well as a list of content you’re not. We actually just did this as well for our redesign! We had a separate spreadsheet for blog posts, resources, press releases, and all of our other important content so we knew exactly what was being transferred over to the new site, and what wasn’t. This allowed us to identify content gaps and create content we needed before starting the migration process. And as mentioned in the Best Practices for Changing Blog Platforms blog post, you need to dive into analytics to evaluate what content is worth transferring and what content needs to be updated or dumped. Take a look at what content has the most views, most interaction, has led to the most leads, is driving the most of organic traffic, etc. This will help you and your team know what to keep, edit, and remove. Once you know what content you’re keeping, updating, and creating, you can begin to assign content tasks to team members. Whether you have several team members dedicated to content creation or just a few, you need to ensure they know what content they should be updating and producing. Start assigning tasks as soon as possible. Content development is a stage where many organizations get behind on timelines. By having one or more team members directly responsible for content, it will ensure the content is on track to meet deadlines. Now that you know who is in charge of specific content tasks, it is the ideal time to update editorial and style guidelines (if needed) to ensure all team members are on the same page with writing styles, grammar, and branding guidelines. By reviewing your editorial style guide, you will ensure consistency and accuracy across your content. Your style guide should include your choice of a global style guide (AP, Chicago Manual of Style, etc. ), correct word usage, voice and tone, web writing best practices, and more. Don’t have an editorial style guide? Or need help updating yours? Check out HubSpot’s comprehensive blog post on creating a writing style guide. Remember how we talked about content development being a risk to project deadlines just a couple steps ago? Arguably the bigger risk is creating content and not getting approval from the proper team members. Even if the website redesign is marketing’s baby, the baby might need some nurturing from chief executives, sales, and other key stakeholders. Get approval and make proper edits as needed along the way so content is ready to upload to the new site without additional edits. This will make everyone happy, and the overall process a lot easier. Once the content for the new site has been identified, the next step is to create the site structure, which includes content organization, labeling systems, navigation systems, and search. The goal is to create a good user experience where users can find the information they want quickly and intuitively with a focus on task flow. Task flow is what a user is required to do in terms of actions and/or cognitive processes to complete a task on a website. The fundamental purpose of navigation is to show users where they are, where they have been, and where they can go. Navigation that does not help complete certain tasks adds unneeded complexity and should be removed from the site structure. In order to document this process, you should create site blueprints and wireframes. Site blueprints provide a macro view of how the site is organized while wireframes provide a micro view of individual pages and focus on page layout, navigational systems, and functionality. Learn more about site blueprints and wireframes in our Foundations of a Website Redesign blog post. When creating the structure of your new site, you can save considerable time and effort by keeping the organization and URLs the same as on the current site when appropriate. This will limit the number of 301 redirects that need to be created. As you create the new structure, begin the process of documenting the 301 redirects that will be needed when the new site goes live in a spreadsheet. 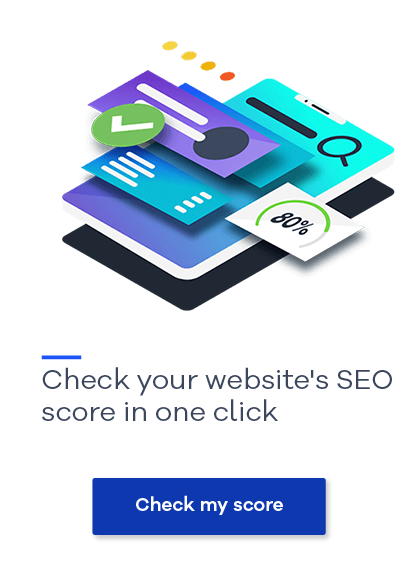 The goal is to retain the SEO benefits from your current site, while making a smooth and easy transition for customers who regularly visit your site. Phew! You still with us? This phase of the website redesign process includes quite a few monumental tasks that can be both time-consuming and tedious. Stay focused, reward your team, communicate, and you’ll get through it! 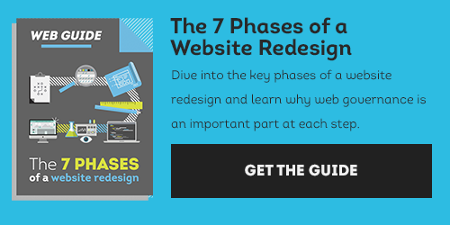 In the meantime, if you have more questions about how to perform a content audit and how to go about creating a site structure, download our 7 Phases of Website Redesign guide.